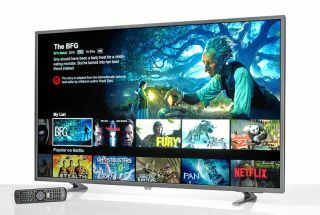 4K TV deal: Five-star 50-inch Philips TV now just £399 | What Hi-Fi? If you're looking for a TV deal this weekend, you could do a lot worse than this excellent five-star Philips 4K HDR TV. We reviewed the Award-winning TV at £600, but you can get it today for just £399 – that's even cheaper than the best price we saw over Black Friday and the New Year Sales. See below for the details. The Philips ticks a lot of boxes with 4K, HDR and Freeview Play, as well as a sizeable screen and Philips’s Ambilight technology, the latter of which uses LEDs at the back of the TV to extend the colours of the onscreen action onto the wall around the telly in a way that’s not only spectacular but also makes the screen seem bigger than it really is. Completing the package is a punchy, insightful and nuanced picture that delivers pop and subtlety in spades. What’s not to like?